saratoga living's Lawrence White looks back on the rock legend who died unexpectedly last October. When I heard about Tom Petty’s untimely passing, it struck me that I had witnessed his genesis as an artist through the lens of my camera. In the 1970s—the golden age of FM Radio—our local station, KTIM, in Marin County, California, was an amazing resource for new music. KTIM was the kind of station that introduced new unknown talent because they simply played good music, not just playing the big hits on the industry playlists. One of their featured artists was Tom Petty and the Heartbreakers. KTIM played his first album extensively, particularly the songs “Breakdown” and “Fooled Again,” which were ignored on mainstream radio stations. 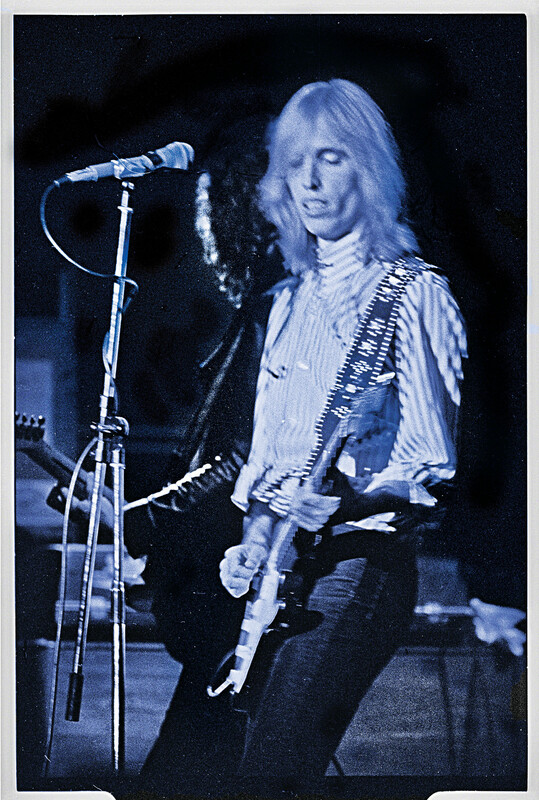 In late 1977, I went to Winterland Ballroom in San Francisco with some pals and my Pentax Spotmatic SLR camera to see Tom Petty perform on a program that also featured English progressive rock band Be-Bop Deluxe. That was exactly 40 years ago. As promoter Bill Graham introduced Tom Petty, you could see the singer-songwriter was so skinny he barely filled his striped white shirt. His glowing blonde hair and ultra-white flesh made him hard to see in the bright spotlights. Frankly, he looked like the abused child he had been in real life, and yet at the same time he looked fearless, unintimidated and bold. When the show began, the band cut loose with an enormous, embracing sound that filled the hall. Petty’s interpretation of his own lyrics was brazen and brilliant. His band was impeccably responsive to his moods, while guitarist Mike Campbell showed why he is one of the greatest rock musicians of all time. It was a fantastic show. Then, in 2010, I went to SPAC to photograph Tom Petty in performance again. Petty had reunited with The Heartbreakers after an extended time apart, and they were having a great time. It was clear from the moment that Tom Petty—seeming healthy and vibrant—hit the stage that he was an artist who had climbed the mountain. He had battled several personal issues and come out the other side with considerable humility and focus. His tremendous talent, artistry and magnetic persona were in full flower that night, and it was inspiring to see and photograph. Upon hearing of his passing, I pored through these historic images again. It was breathtaking to witness Tom Petty’s artistic and personal transition and to realize what his music meant to our collective imaginations. 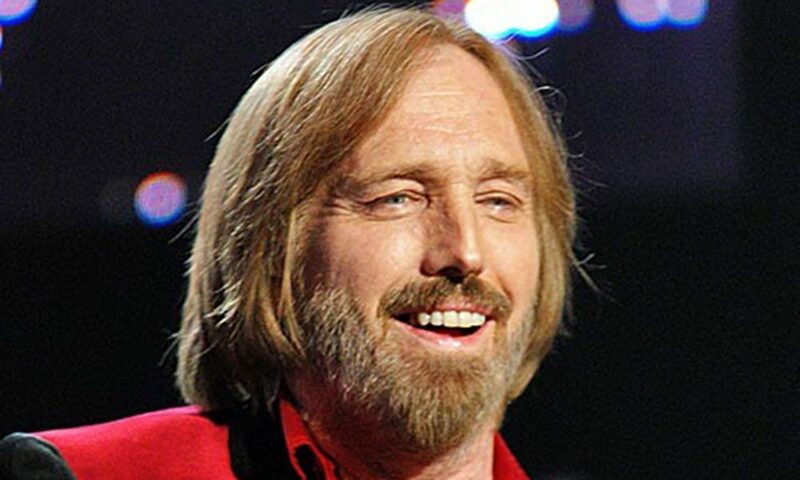 Saratoga will surely miss Tom Petty, but we have his tremendous catalog to refer to and the knowledge that he loved to visit us here and did so often. The first two races of the series, the Times Square and the Park Avenue, will be contested Sunday at Aqueduct. Daily Racing Forms' David Aragona looks back at a handful of races from the first five-day week of racing at Aqueduct. The agreement will ban the raceday use of diuretic furosemide in 2-year-old races in 2020 and all stakes races in 2021. Find all of the Spa City's Passover and Easter events, plus The Dimmer Twins at The Egg and Skidmore College's Earth Day Festival. 'saratoga living' and Putnam Market wine expert William Roach on the French city's "new" way to boost its economy—via wine, of course. Twitter @saratogaliving. The magazine is printed in Saratoga Springs, NY, USA. THE CITY. THE CULTURE. THE LIFE. responsibility for unsolicited submissions. Printed in Saratoga Springs, NY, USA. You can give us a call at 518-584-7500. For advertising inquiries, contact advertising@saratogaliving.com. For magazine subscriptions and to purchase back issues, contact subscribe@saratogaliving.com. We invite any and all party pics from Saratoga Springs and the surrounding areas for possible inclusion on saratogaliving.com. Please email photos to lastnight@saratogaliving.com.